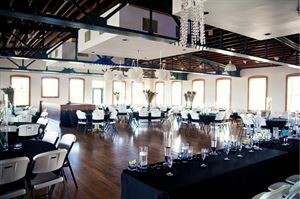 The historic Wichita Boathouse is situated in the heart of the City with dramatic views of the Arkansas River and downtown Wichita. Orginally built in the late 1920's, the building has an elaborate grand staircase, hardwood floors and a gorgeous balcony. Our banquet room is large enough to host events of 200 but cozy enough to not feel overwhelming to groups as small as 50; it is an ideal setting for any type of event!